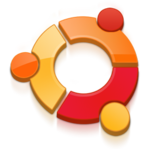 Those already around me know I love Linux and my favourite linux distribuition is Ubuntu. One of the reasons Ubuntu is my favourite is how simple and compatible it is with pretty much all devices I have tried installing. Except my laptop, but that’s due to the graphics card. But hey, I fondly received the news that now we can select the option to automatically set nomodeset and other convenient tools when running the setup. For me, this means a major win. I previously had to set nomodeset manually and after installation I had to immediately modifiy some options in the grub’s defaults (namely set the acpi=force) but now, with this new option, the installation process which was already smooth, become (melted) butter. Thank you, honestly, person who remembered to include this option. This seems like a feature that will stick to Ubuntu 20.04, so I’m happy to now a LTS version will become even simpler to install too, so that’s great. The UI and custom-Gnome experience has been improved as well, in this custom flavour of Gnome. 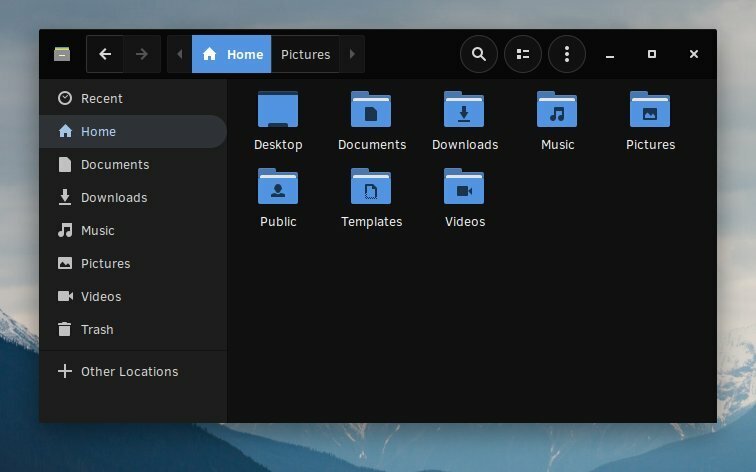 We now have a few more options for customization, including dark options of the themes but I am definitely pleased to say that the Gnome shell, in Ubuntu 19.04, really looks great. Working with an Arch-based Linux distro put me out of my Debian Linux comfort zone. I was pleased by how quickly I acclimated to Condres OS. The Condres/Arch-specific software was intuitive to use. The few times I needed to clarify an issue regarding software, the answer was readily available. Hopping from Linux Mint to Condres OS was an easy move. That said, the other Condres OS desktop offerings should not pose any technical or usability challenges for new users coming from other computing platforms. 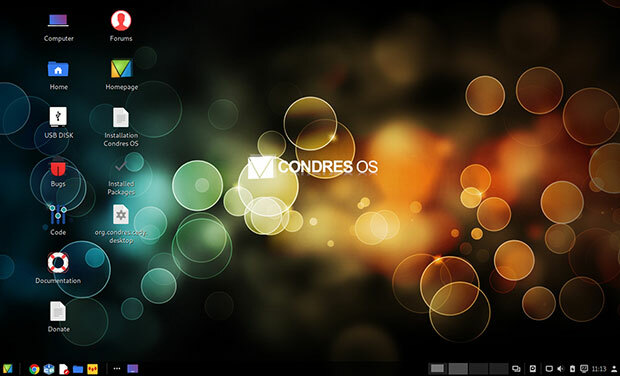 For that matter, Condres OS in any desktop flavor should be a comfy fit on any hardware. I tested Condres OS on one of the oldest laptops in my lingering collection. I ran the live session ISO on both new and old gear without experiencing any glitches. I installed it on a laptop running an Intel Core 2 DUO processor with 3GB RAM for more extensive testing. The next step is to install it on my primary desktop computer in place of the troublesome Linux Mint. I have to say my expectations were low because of the past experience. 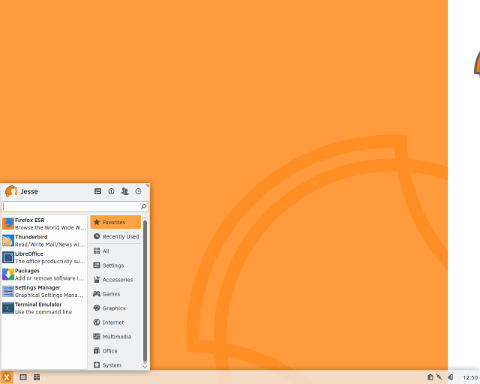 But Solus 4.0 Fortitude surprised me, positively. It's not the bestest distro in the universe, but it comes with a lot of nice features and a fresh, unique angle that's always a delight to discover, given how monotone and uninspired the Linux world has become. The Budgie desktop has come along nicely, although it still suffers from some of the issues that plague Gnome. 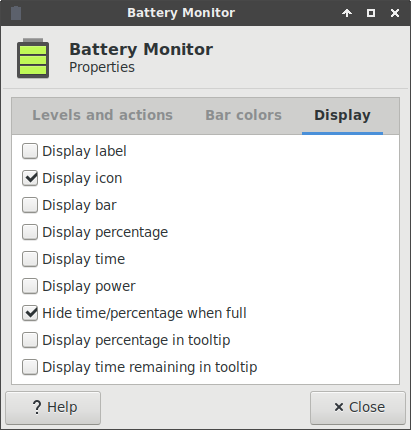 In fact, this is the problem with Solus - usability problems, performance. On the bright side, it delivered on many fronts - Nvidia drivers, media, smartphones, good package management and third-party extras, crisp fonts. I'd prefer a light theme by default, a better sorted panel, and the security thingie harms network connectivity for Windows boxen. And more enthusiasm. Solus delivers with stoicism, and it could do with more verve. But there's good fortune rubbing off this one, indeed. 8/10, and we shall be keeping a keen eye on this one. Worth testing, I say. I might be boring, because I'm not adventurous, and I like to play it safe when I choose distros for serious work, but then, having tested hundreds of distro versions, spins and editions over the years, I like when I can fall back on a stable, reliable, well-polished release like Continuum. The one thing that's really missing is a guaranteed LTS edition for me to be able to commit it to production, but then, with eeePC and now this RD510, this little distro has done more than most other systems in a long, long, long while. And the results are even better than what I had with a 2003 Lenovo T42, which I revived back in 2013. MX-18 Continuum really shines. There are some rough edges in the Xfce desktop, sure, and there can be even more goodies, but look what I felt about this project four or five years ago, look where we're now, and look how my 10-year-old laptop runs with the sprightliness of a machine one third its age. That has to count for something. But with two out of two 10-year escapades nailed, I think this is a pretty solid recommendation for anyone looking to freshen up old, weak systems, but also people who want a solid, sane, user-focused experience. And that brings us to the end of this happy review. See you in 10 years. Or in a day or two. Solus 4.0 fortitude, the latest major release of solus linux distribution has been released and announced by Solus Project’s Joshua Strobl. This release ships with Budgie 10.5 desktop environment includes some minor changes and also comes baked in with the Plata (Noir) GTK Theme. New to the Budgie Desktop is a “Caffeine Mode” that ensures the system doesn’t suspend/lock/dim, and other minor tweaks to enhance the experience for those “hard at work” and trying not to be interrupted. Budgie 10.5 also brings an updated icon task-list applet, Raven widget/notification center improvements, improved notification management, and various styling improvements to its custom elements. Q4OS 3.6 has a cleaner and more modern appearance. Some of its core components are refreshed, not new. Other features are improved or expanded. Whether you adopt Q4OS to replace a Microsoft Windows experience or another Linux distribution, you will not have much of a learning curve. Its simplified interface is intuitive. Q4OS has a focus on conservatively integrating verified new features. This operating system is a proven performer for speed and very low hardware requirements. Its performance is optimized for both new and very old hardware. 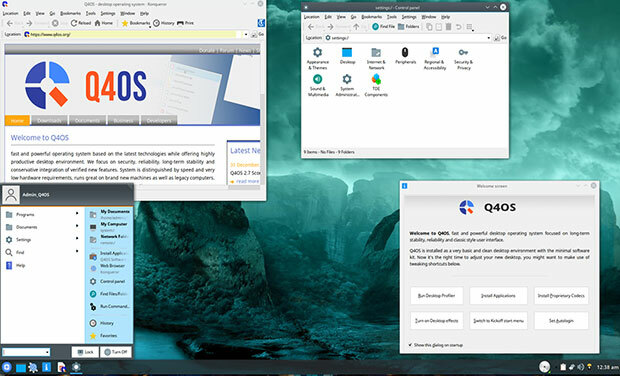 For small business owners and high-tech minded home office workers, Q4OS is also very applicable for virtualization and cloud computing. The freedom and ease of setting up the core system your way make Q4OS a viable alternative to other Linux options. It is a very inviting way to meet individual and small business computing requirements. One of the big values in using Q4OS Linux is the add-on commercial support the developer team offers for customizing the distro to meet specific user needs. The folks at Pine64 are working on a Linux-powered smartphone that could sell for as little as $149. It’s called the PinePhone, and the team unveiled the project and launched a development kit earlier this year. Now that developers are starting to work with that pre-release hardware, we’re getting our first look at what the phone could look like when it’s running GNU/Linux-based software. 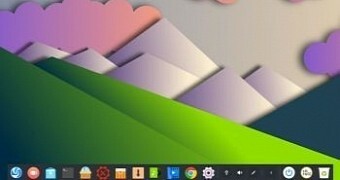 Photos of a dev kit booting PostMarketOS with the KDE Plasma Mobile user interface were posted recently to the PinePhone developers Telegram group.